Whilst we’re watching videos from the Nokia Dev Forum, let’s look at another video just published. It’s called, “Porting to Qt: Lola’s Fruit Shop Sudoku”. With Qt, you can create games for both MeeGo and Symbian. 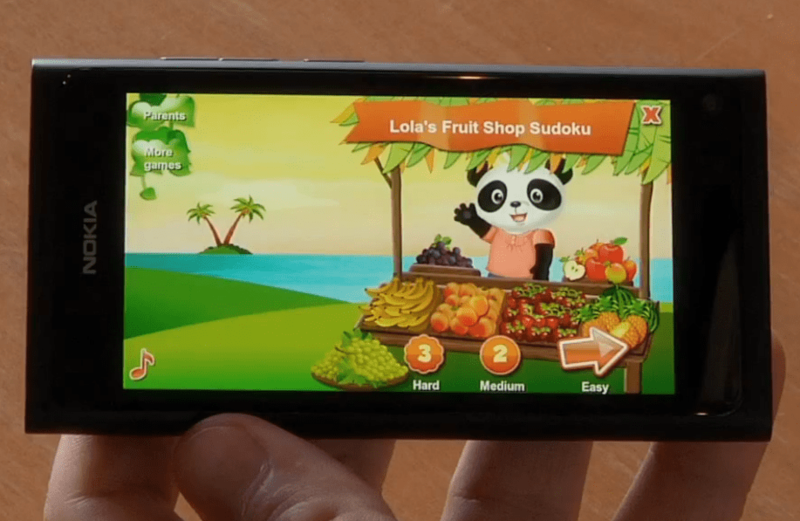 An iPhone game from Beiz called “Lola’s Fruit Shop Sudoku” is ported to Qt and demoed on the N9. You can see some of the processes involved in the video. Conor Lennon from Symbio talks about the experiences in the porting project, where iOS game is ported to Qt, Symbian and Nokia N9 devices. Game is called Lola’s Fruit Shop Sudoku by game studio BeiZ. Conor tells that it took only 4 weeks, from start to finish, for one developer to port the app to Qt. He also highlights how the easiness and quickness of Qt Quick played a major role in the success of this project.